Because beauty needs to be nurtured! 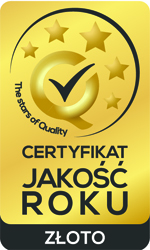 Beauty Group Clinic in Szczecin is one of the most popular medical facilities in Poland. We specialize in plastic and reconstructive surgery and aesthetic medicine. Beauty Group represents world-class specialists who gained their experience not only in Poland but also abroad. All plastic surgeons working in Beauty Group Clinic are members of the Polish Society of Plastic, Reconstructive and Aesthetic Surgery. We all know that knowledge, experience and unique aesthetic sense are the conditions to be met by every skilled specialist in plastic surgery. Artplastica Clinic is a place only for the best in this field. ARE YOU INTERESTED IN BREAST AUGMENTATION, FACELIFT, NOSE JOB, TUMMY TUCK, LIPOSUCTION? Information on these and many other procedures can be found on our website. ARTPLASTICA ALSO OFFERS AESTHETIC MEDICINE. Thanks to the aesthetic treatments like wrinkle filling, fractional laser eCO2, “vampire facelift”etc. you can effectively take care of youthful appearance without using a scalpel. We hope that our website will provide the answers to all your questions. You do not know how to prepare yourself for plastic surgery? Would you like to check what are the operational options? How long is the recovery time? Take a look at presented descriptions of surgical procedures. Are you interested in the results of the surgeries? Wondering what outcome you may expect? “before and after” photo gallery ”is a must-see. If you would like to know the estimated cost of breast enlargement, abdominoplasty, rhinoplasty, liposuction or other plastic surgery procedures, please refer to our price list. Would you like to read more about Aesthetic medicine? Please visit the section dedicated exclusively to noninvasive treatments offered by the specialists working in our clinic.